Novels set in the reign of King Henry VIII have recently been published to great acclaim, but over fifty years ago a novel published by a Sutton lady set in 1528 had only limited success. 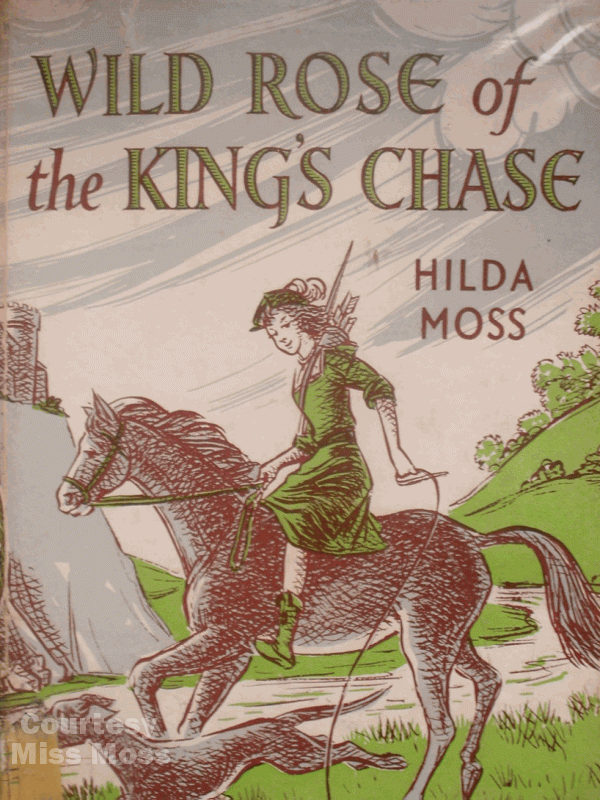 “Wild Rose of the King’s Chase” by Hilda Moss was based on a local legend about the origin of the Royal Town, namely that King Henry, when hunting with Bishop Vesey in Sutton Park, was attacked by a wild boar and only saved when a maiden stepped out of the bushes and shot the animal with a silver arrow. The King was so grateful, according to Miss Moss, that he granted the charter giving the town its freedom. Sometimes such fanciful legends contain a grain of truth, and it is a fact that the Charter was granted in 1528, probably at the instance of Bishop Vesey. However, it is not clear that the King ever set foot in Sutton Coldfield. Miss Moss puts the incident in late Autumn, when records show that Henry was in London. Earlier in 1528 the king had been staying at various country houses in the hope of avoiding the plague or sweating sickness which was rife in London, but none of these - Grafton, Ampthill, Tytenhanger, Easthamstead - is north of Milton Keynes. A recent biography claimed that the King was in Sutton in August, staying with Bishop Vesey at Old More Hall, but this seems unlikely, and Moor Hall was brand new at the time. In 1528 Sutton and its Chase still belonged to the King, not to the Bishop, but Moor Hall would be the only house grand enough to receive a Royal visitor. However, Bishop Vesey was away on business in 1528. On July the fifth Vesey wrote a letter to Cardinal Wolsey from Ludlow - he had been appointed President of the Court of the Marches of Wales in 1525, with its headquarters at Ludlow, and also made Tutor to the ten-year-old Princess Mary, which involved overseeing the household established for her at Ludlow Castle. At the time Mary was the apple of her father’s eye, and destined to be Princess of Wales, but by 1528 the appointment was something of a poisoned chalice, as Henry sought the divorce which would render Mary illegitimate. Miss Moss gives a convincing account of a young huntress living wild in Sutton Chase, but it is presented as a story for children, and in any case wild boars in England had been hunted to extinction long before 1528. There is a copy of Miss Moss’s 1960 children’s novel in Sutton Reference Library.